There are only a handful of backup quarterbacks in the ​NFL more talented than Indianapolis' ​Jacoby Brissett. Despite playing on an awful ​Colts team with one of the worst offensive lines in NFL history in 2017, the then-second year Brissett managed to score 17 touchdowns, win four games, and showcase his rocket arm. He's also reached a level of cool that only a select few have achieved. 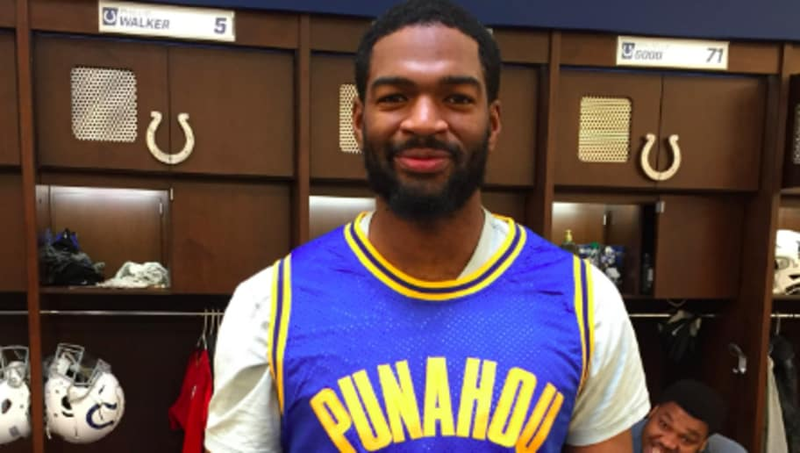 As part of his Colts tradition of wearing jerseys before flights to road games, Brissett broke out one of the best and most unique jerseys you'll ever see. ​​Yep, that's former Punahou High School basketball star Barack Obama. I think he did something pretty important after high school, but I can't quite put my finger on it. To Brissett, Obama is more of role model than anything. Brissett even took the time out to honor the former President with a heartfelt letter describing how much of an influence he was on him. He even offered basketball tips to the famously hoops-crazy president. ​​It's always cool when you get to meet your heroes or honor them in a unique, creative way. Finding a way to pay homage to a life-changing role model, the pride of the Punahou Buff' n' Blue, and a former president all in one is simply awesome.